If you need to change oil in a lawn mower, you might be putting off doing it because you simply haven’t done it in the past and you’re not sure how to proceed. Fortunately, changing the oil in your lawn mower is really not that difficult. 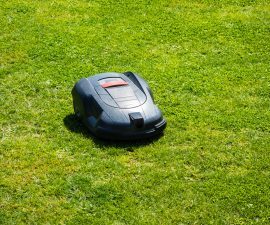 Of course, there will be some differences in the exact procedure that you should follow depending on things like whether or not this is a riding lawn mower or a push mower, as well as differences between certain manufacturers. In some cases, the exact procedures will even be different between different models that are made by the same manufacturer. Therefore, you should always consult your owner’s manual before you do anything. It will provide you with any special instructions that you need to know before you actually get started. After you have looked at the owner’s manual and made note of anything that you need to know. Your first step will be to either disconnect the spark plug if you are dealing with a push mower or disconnect the battery on a riding lawn mower. This makes the process much safer because it guarantees that the lawn mower cannot accidentally start up while you are working on it. The next step will be to drain the oil by either removing the oil pan or using a different procedure that is outlined in your owner’s manual. This is a relatively simple procedure but it requires that you use a torque wrench in order to get it done. Replace the oil filter if your lawn mower is equipped with one. This again illustrates why it is so important to check your owner’s manual. Not all lawn mowers actually have oil filters. Obviously, if yours doesn’t, this is a step that you can skip. Otherwise, you should always change the oil filter whenever you change the oil because it guarantees that the filter will continue to be able to do its job, which is to keep the oil clean. Again, you can consult your owner’s manual in order to find the right replacement oil filter. After you’ve drained the oil and replaced the oil filter and everything is back in place, you can start putting new oil into the lawn mower. 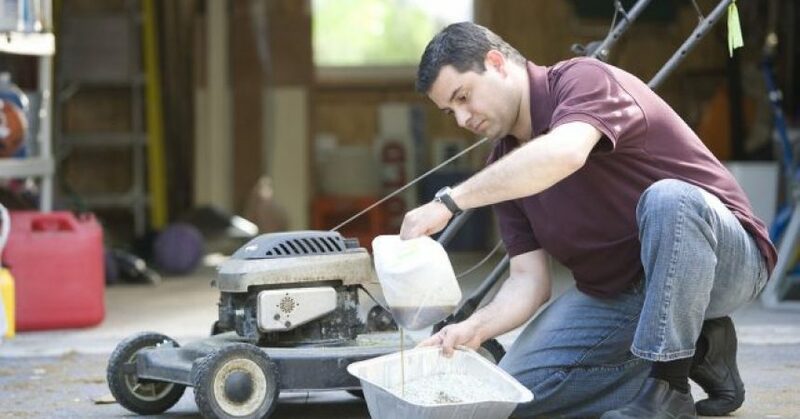 Typically, most lawn mowers take SAE 30 but you should always make sure that this is the correct oil for your lawn mower before adding anything. You will fill the oil in the same place where you check the oil level. Fill it up with the prescribed amount of oil and then carefully check the oil level using the dipstick. If the oil level is where it should be, go ahead and reconnect either the spark plug or the battery. 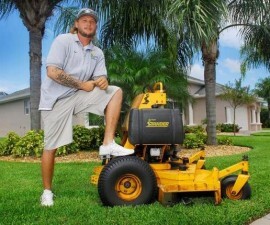 Start the lawn mower up and allow it to run for just a few seconds and then turn it off. As a final step, go back and check the oil level again with the dipstick. 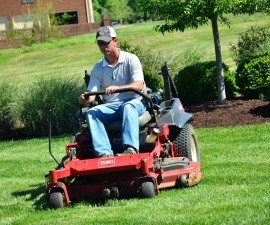 If it is satisfactory, you can do a final sweep for any leaks and then start using your lawn mower as usual.